. : Optics & Photonics Focus :: Artistic representation of an X-ray laser :. X-rays interact with the electrons of the atom, which leads to the emission of another X-ray photon. 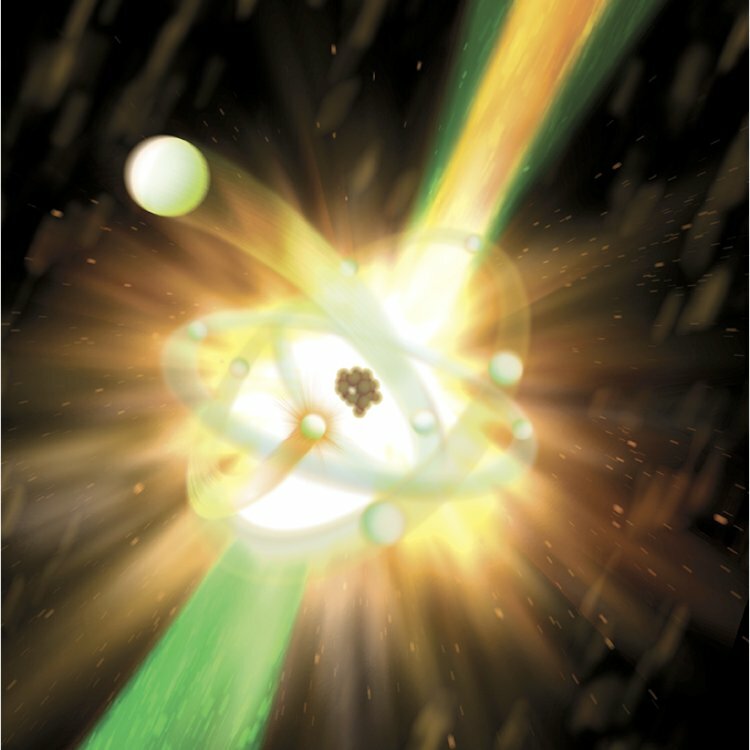 Credit: Illustration by Gregory M. Stewart, SLAC National Accelerator Laboratory.